At advisory firm Aksia, institutional clients look to Minarik to help strengthen their hedge fund portfolios. New York–based Aksia has more than $62 billion in assets under advisory and many large institutional investors as clients, including U.S. aluminum producer Alcoa, the W.K. Kellogg Foundation Trust, nonprofit hospital operator Mercy Health System and the Pennsylvania Public School Employees’ Retirement System. As senior portfolio adviser, Minarik helps the firm’s institutional clients to choose strategies and managers that optimize their existing hedge fund portfolios. He works with head of advisory Matt Mullarkey, formerly an investment officer and portfolio manager for the New York State Common Retirement Fund, and three other portfolio advisers. In 2013, Minarik started a research and development group to work on an online solution for addressing potential inefficiencies in the advisory process and coming up with new ideas for delivering specialized research. The project team, which has met nearly every week for the past three years, keeps adding features to what is now called MAX, a proprietary web-based platform that Aksia clients can use for everything from portfolio analysis to due diligence on prospective investments. Minarik studied finance and international business on an academic scholarship at Orange, California–based Chapman University. His first job after he graduated in 2008 was as an associate and then as a client service manager with nearby Carlsbad Wealth Advisor Group. Minarik has kept on seeking adventure. In the summer of 2013 he spent 12 days backpacking solo and off-trail in Alaska’s Arctic wilderness after passing the Chartered Alternative Investment Analyst exam. 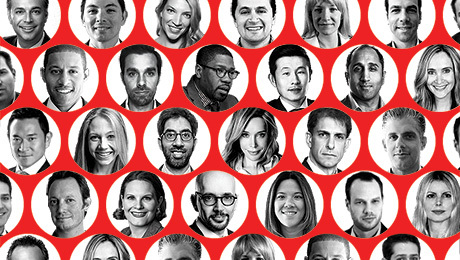 Visit the 2016 Hedge Fund Rising Stars: Ivy League Schools Pave the Way for more.